On a long skiing day you will probably sweat a lot. The body releases more than three litres of fluid during this time - and they have to go somewhere. The Kjus 7Sphere Hydro Bot has a completely new solution for this: a novel membrane that is controlled via an app or a remote control and pumps sweat outwards. The technology has three layers: a membrane consisting of billions of pores per square meter, surrounded by an electrically conductive tissue on both sides. With the help of a small electrical impulse, the pores are transformed into micropumps that actively conduct moisture away from the body quickly and efficiently. The development is the result of more than ten years of research and development. The ventilation can be controlled via app - for Android and iOS - or at the push of a button on a detachable remote. You simply pull out its USB cable and the ski jacket can be machine washed without any problems. One battery charge should be enough for up to two days on the slopes. If the battery is empty, but you want to keep going, there's also the option to simply connect a power bank and put it in your jacket pocket. Ski jackets aren't cheap anyway, but the Kjus 7Sphere Hydro Bot has quite the price tag. 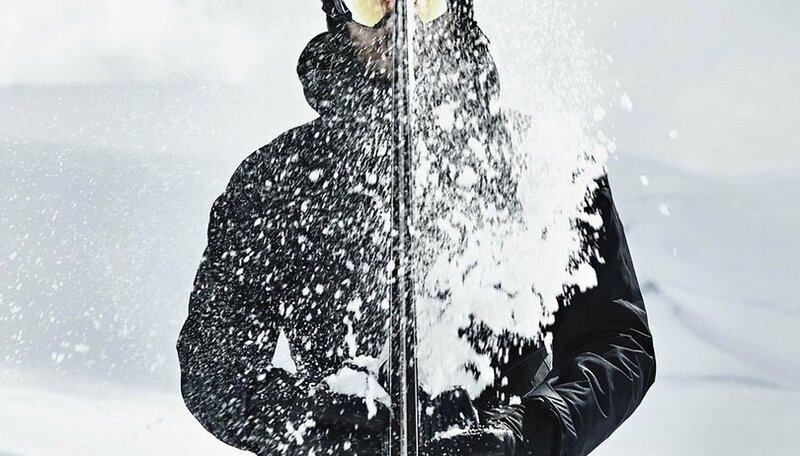 The jacket costs just under $1700 and is therefore a product that will mostly appeal to true ski enthusiasts that visit the slopes more than a few days a year. But for them it might be a price worth paying for staying dry. What do you think? Does this wearable present an interesting innovation or is it quite unnecessary? That's silly. Proper layering and passive design already achieves this.